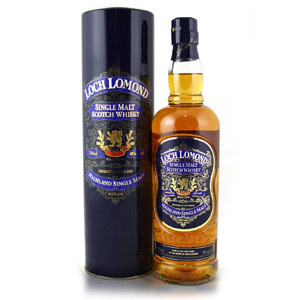 Loch Lomond, unfortunately not available in the United States, offers an NAS entry-level malt for bottom dollar. In my unending quest to taste all of the budget drams no matter where they are sold, I sought a sample from Master of Malt’s Drinks by the Dram program. Loch Lomond is a small distillery that quietly churns out product, and that product goes by many names including Loch Lomond, Inchmurrin, and Old Rhosdhu (among others). 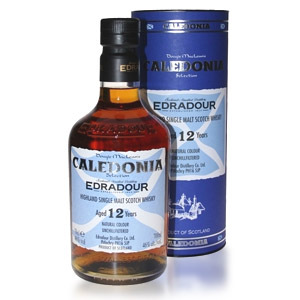 While classified as a Highland (or West Highland) distillery based on its location in Alexdandria, near Dumbarton, it is literally just up the road from Glasgow. 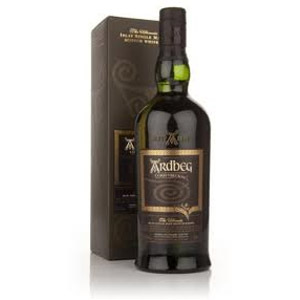 Its style is also in line with Lowland malts: simple, subtle, light, and crisp. This 40% ABV, no-age-statement bottling was aged in ex-bourbon casks. 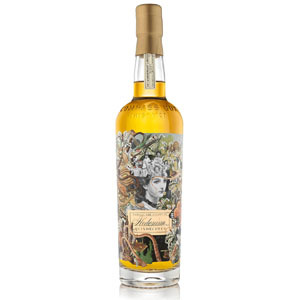 Note: Loch Lomond has recently revamped their line and renamed their core bottlings. This review sample was from the older bottle with the blue label (pictured). The replacement is called “Loch Lomond Original”. Nose: Very light and floral aroma, with some stronger notes of honey, lavender, green banana, lemon peel, and fresh unmalted barley. Palate: Medium bodied. Honeyed, with a tinge of tongue burn despite the low ABV. Flavor profile is mostly grain-based, with homemade yeasty bread, mashed bananas, malted cereal, and oatmeal with honey. Finish: Very short. A reprise of the cereal notes, plus a bit of that lavender and honey, crushed peanuts, and musty hay. Pleasant enough, and not bitter. Fades with some barky oak, although it leaves behind a patina on the tongue of wet cardboard. With Water: A few drops of water release a note of aloe on the nose, but dampens the florals. It has no discernible effect on the rest of the experience. I’d skip the water. Overall: A mild, unassuming dram. It reminds me of a slightly less successful ex-bourbon cask Balvenie. 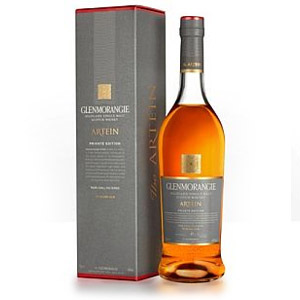 The nose is floral and clean, while the palate could use a few high notes and less bland malt. The finish is a bit weird, but all of this is nitpicking for an NAS malt priced under $30. In a constrained budget situation, I would put it up against Speyburn 10 and and be equally happy with either. Regarding its age, I’d hazard a guess that it’s around 8 or 9 years on average. This Highland distillery, which lies just over the line from the Lowlands, was established in 1966. An odd duck among malt distilleries, Loch Lomond has two pairs of pot stills fitted with rectification columns (despite confusion with the name, these are not Lomond stills), as well as a separate continuous column still. This allows the distillery to make malt OR grain whisky, or a combination thereof (thus, a “single blend”). Also unlike most other scotch distilleries, Loch Lomond has been experimenting with winemaker’s yeasts instead of brewer’s yeast. Process water comes, appropriately, from Loch Lomond, the lake with the same name. Loch Lomond, with its inbuilt variety, produces several single malts including Inchmurrin, Loch Lomond, and Old Rhosdhu. It also produces several blends, including The High Commissioner blend. Recently came across a bottle of Loch Lomond in a bar on Clare Island in Ireland. Like yourself I found this a rather unassuming single malt which was pleasant – if nothing else. As it was the only whisky at the bar I hadn’t tried before I had to give it a go. Yes it is! Or, at least their single grain and blend is. I am in Austin, TX and just grabbed a bottle at my locally owned neighborhood spirits store. I think you are right on with the Balvenie comparison, not as complex , not as sweet either, especially in the finish. But clean, balanced, and one of the better whiskeys at the price point for sure.